When planning for our last A Moveable Feast, I knew I wanted to make crepes, and I new I wanted to make them extra special. What’s extra special? Nutella. While I was apprehensive at first about this recipe, it seemed like the best option rather than getting into a recipe testing spree trying to recreate vegan condensed milk. 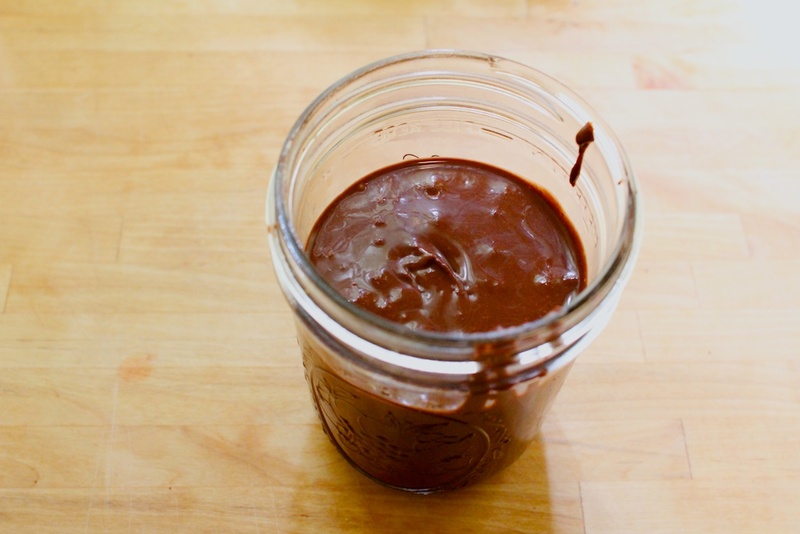 You can’t really argue with a fresh nut butter and a good cocoa mixed together. 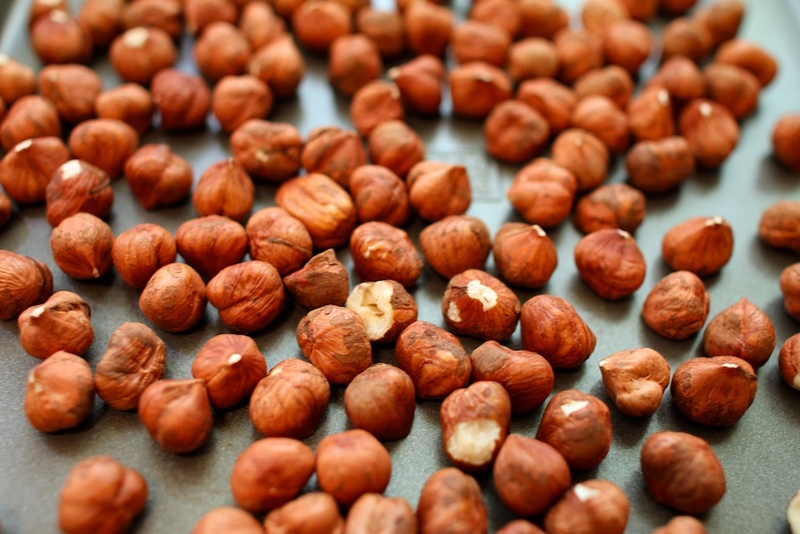 The key to this recipe is the simple act of toasting the hazelnuts, giving it a warm, rich flavor. 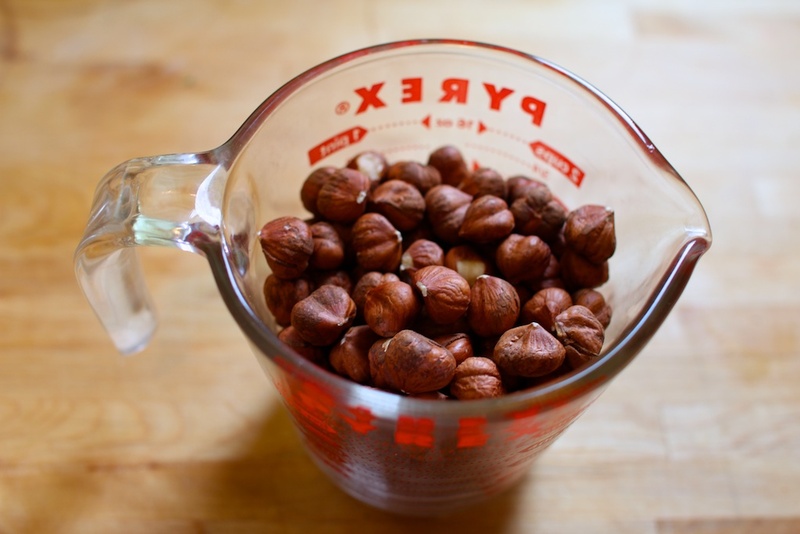 Peeling the hazelnuts is a pain, even if you scrub them with a damp dish towel, but other than that, this recipe is easier than pie. A word of warning though: hazelnuts, they’re not cheap. It’s totally worth it though as the decadent dark chocolate delicacy is better than any pre-made treat you can buy. I may or may not be eating this with a spoon for dessert for eternity (or until the jar runs out). this is the next level in nutella deliciousness!! I’m still really curious about cooking vegan treats but haven’t tried because the boyfriend is so picky. But I’ve learned what he doesn’t know fools him quite a bit, so I think I might try this sometime soon. He loves this kind of stuff.